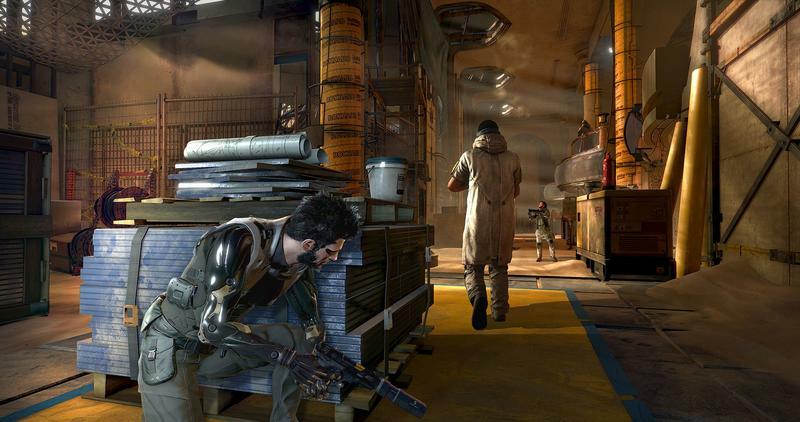 Choice and consequence are everywhere in Deus Ex: Mankind Divided, and players will truly feel the impact of their decisions as they play. The world is desperate for help once more, and Adam Jensen has again come to the call. 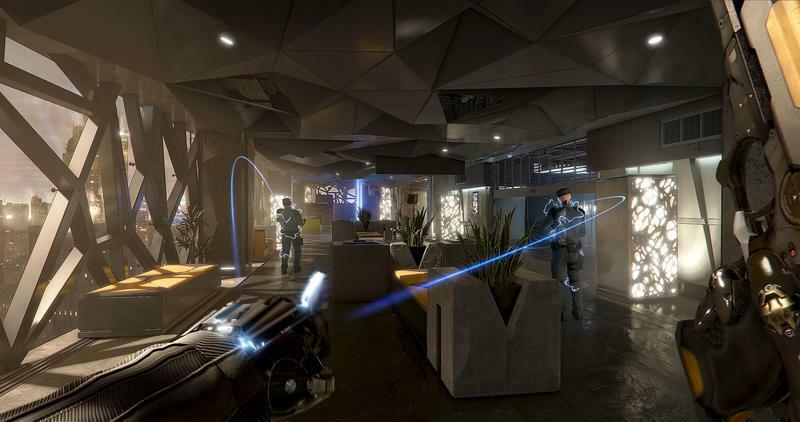 After having the chance to play the Deus Ex: Mankind Divided for over five hours, I had the opportunity to sit down with producers Olivier Proulx and Fleur Marty to talk about Social Debates as well as the new game mode that many people are talking about: Breach. Is it possible to play through the entire game and have all of your augs completely upgraded? Olivier Proulx: No. and on one play through, you are not going to get to 100 percent. I can’t give you a precise percentage, but you’re going to have a lot [completed] if you explore, play side missions, get all of those Praxis, but you will not get 100 percent. [However], we have New Game Plus, which is cool because you can restart the game, you are fully augmented, and then you can be fit up to 100 percent. It’s also a good chance to explore different avenues of the narrative that you haven’t seen before. Fleur Marty: Not being able to go to 100 percent [within a single play through] is part of the DNA of Deus Ex: choice and consequences. You have to think about what you want. That absolutely places a greater emphasis on choice. For those people who never choose the Social Enhancer Augment, what sort of cues should people be looking for when it comes to the Debates? Proulx: In those debates, we’ve invested a lot in the facial animations and the actors’ performances are up a notch compared to the other conversations. We made that decision so you can get a hold of the other person’s personality. We give some cues, so if you are good socially, you might be able to read the situation. The other thing we are doing is if you explore in Prague, there are emails relating to characters and their personalities. If you pay attention, then you can have the knowledge of knowing how to approach each character. It’s subtle and not necessarily easy to do, but if you fail, you’re not failing the game and that was important to us. With the Calibrator (balancing tool for Jensen to use), if I would’ve said the wrong thing to the character I spoke to, would I then never have another opportunity to acquire it? Proulx: You could still get the Calibrator. They would initially tell you “get out of here,” and then it would become a red zone and you must then infiltrate the space. You have to look at it and say, “okay can I go upstairs? Can I go through the sewers? Can I hack this door?” You can find a way passed them to get the Calibrator; it just becomes a different challenge. Will the Social Enhancer Aug always be enabled in every Social Debate, even the boss fights? Proulx: It’s not in all of the conversations. This is going to be activated during those big debates that you have with a few characters and also some conversations that you have inside of missions, so during key conversations and side missions it can help you there. We made sure that if you invest in this augmentation, you then have way more options as a result. It’s something to help the player say the right thing at the right moment to a side mission character. It’s going to help you. Aria was an interesting character to me. What’s her relationship like with Jensen? Proulx: She was a very emergent character. She wasn’t a main character when we started to build the game, but I guess she has a relationship [with Jensen] because she has augmentations. She’s trying to go in the field and she can’t yet. While she’s not a major character in the game, you see her progress. I think through that she’s very much a character who has been appreciated very much by people who have seen the game so far. So she won’t be Jensen’s love interest? Proulx: We’re not a game that’s big on those types of relationships. I think they have a good relationship, but if you wanted to put it like that, that’s up to you (laughs). The design of the world is very open, so what were some characteristics you wanted to put into the world that would make going into something like a small room more meaningful for the player who did that, versus the player who skipped it? Proulx: I think a lot of it comes down to your experience. It doesn’t always require us putting in a system that tells you, “oh, I’ve unlocked X percentage of the narrative.” It’s just something that for someone who loves the universe and wants to read, [the room] makes it rewarding for them. It shows the quality of the content and consistency of the writing, and that it all ties into the same game world. During my time with the game, I found a Deus Ex triangle and it prompted me to download the Deus Ex app to see something by looking at it via my phone’s camera. What was that and will doing that help us during the core story of the game? Proulx: Not necessarily. We had the Human Revolution Director’s Cut released a few years ago and in that you could trigger some developer documentaries. This is a moment where you look at the video on your phone, and you see a developer telling you the inspiration behind an idea. It’s a behind the scenes look for the fans. We didn’t want to make a companion app that gave you bonuses, that’s not the idea of that at all. Switching gears to Breach, the art direction is very different, and I’m sure that’s very intentional. What drove the inspiration behind the mode’s art? 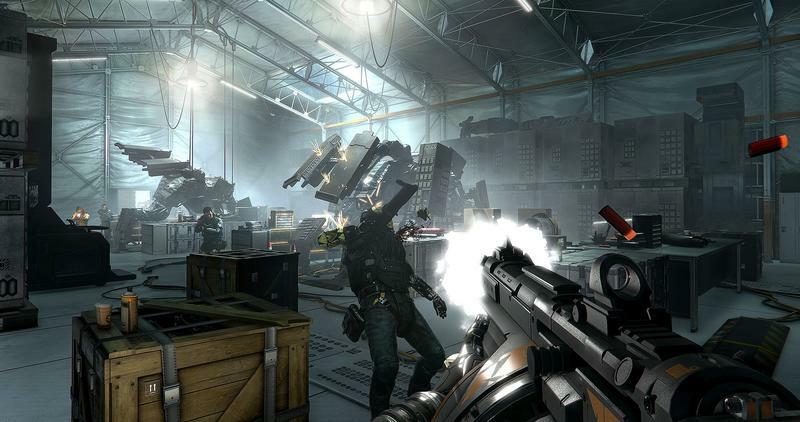 Marty: First, it’s very different, but it’s still Deus Ex-y. We wanted to give as much freedom to the level designers as we could, and that meant having a very minimal art direction. It needed to be simple. 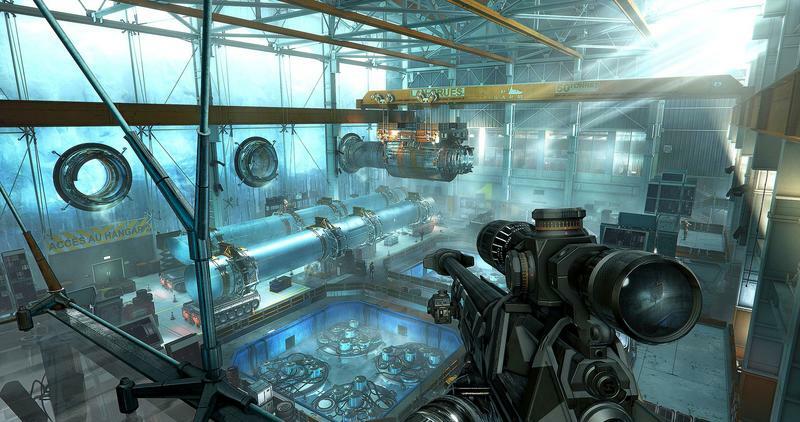 At the same time, though, it needed to tell a story because the art direction in Deus Ex always tells a story. 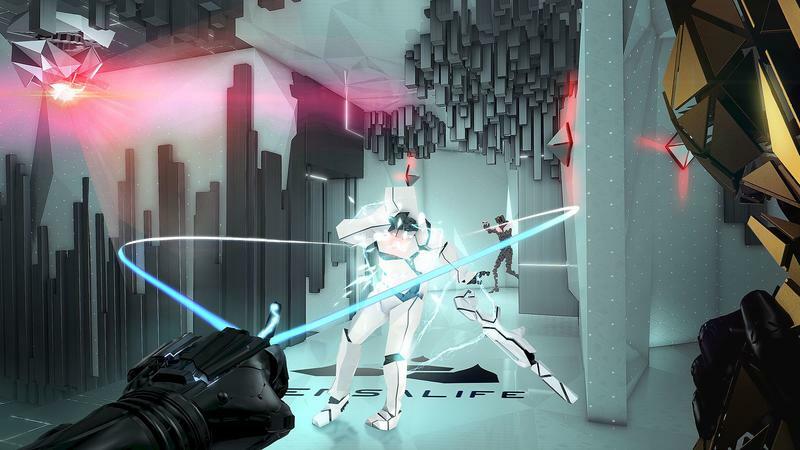 For instance, the color pink is very present in Breach because the color doesn’t exist in Mankind Divided. It’s a color that doesn’t exist in the Deus Ex art direction, except for one character, Eliza Cassan. She wears pink because she’s not real. Pink is the color that is not real, so that’s why it is very present in Breach. It’s virtual reality. The art style in general is the same for all of the levels, but it has variations depending on the corporations that you’re infiltrating. We wanted that to be able to tell you what each corporation was about. Will the colors have any correlation with the difficulty of each level? Marty: No. Actually, the more pink you see, the more data and score there is inside of a map. 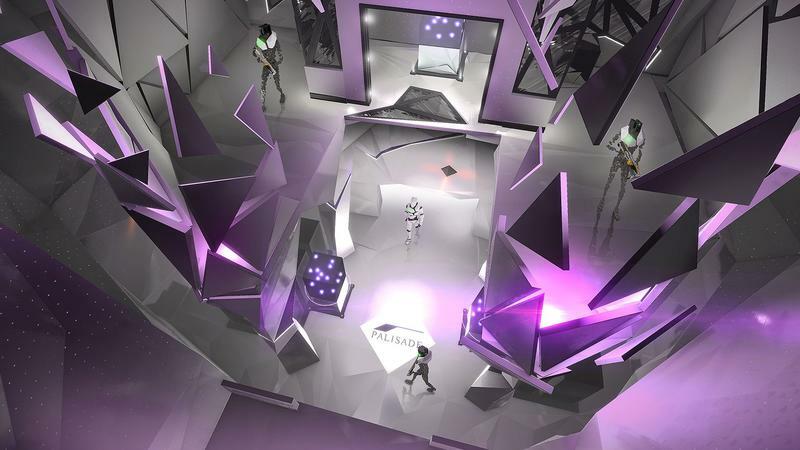 As you go deeper and deeper into the servers, the maps expand and open new rooms. 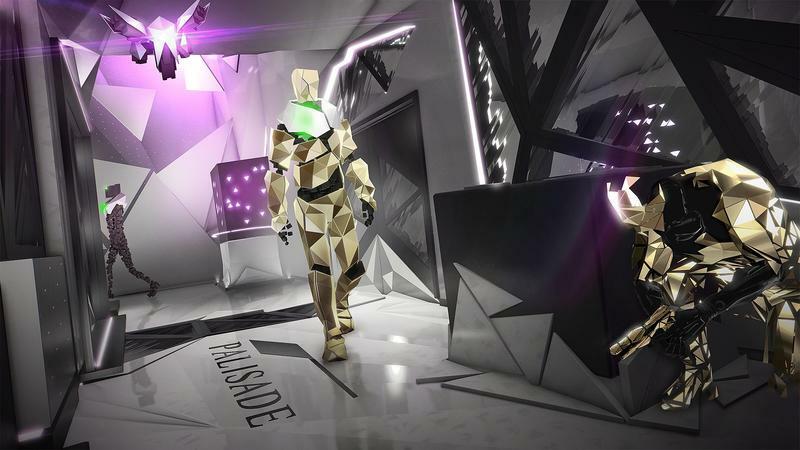 The early levels you can play through in a minute or two, once you’ve played them, but the last levels are going to take you 30, 45 minutes each. 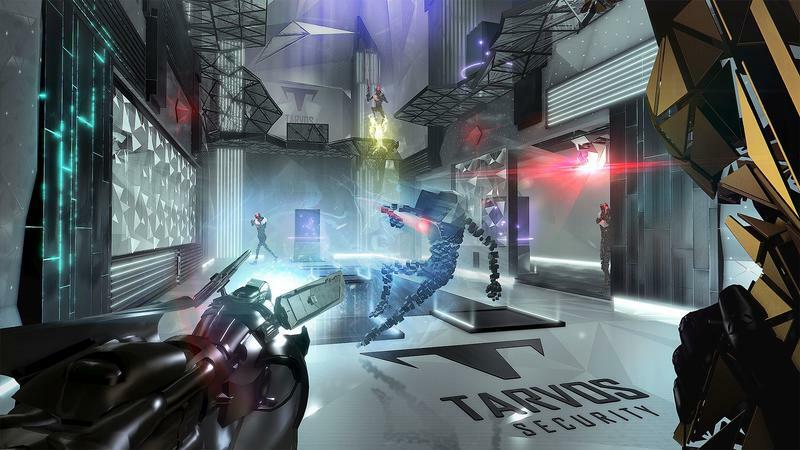 How does the narrative tie into what we’ve already seen in the Deus Ex world? Marty: Those corporations you are infiltrating and the conspiracies you are uncovering are tied to the corporations, and all of this is happening in parallel to Mankind Divided. 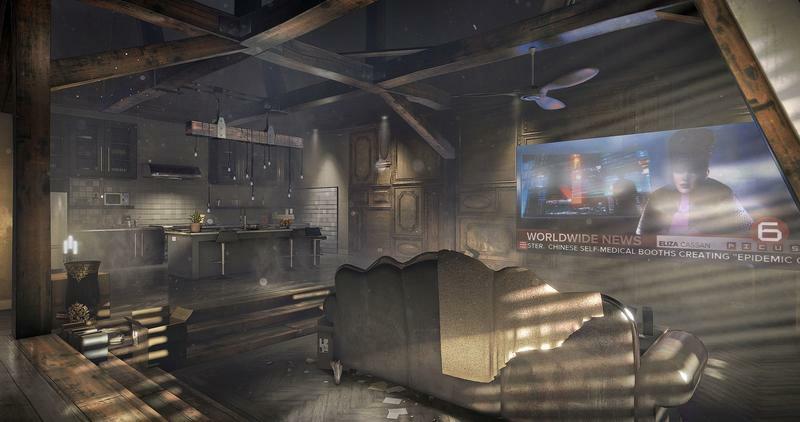 That place you are infiltrating is actually a physical building that you can see in Prague in Mankind Divided. Will Breach answer any questions players might have had following the endings in Human Revolution? Marty: No, that time period is actually covered in the novel. 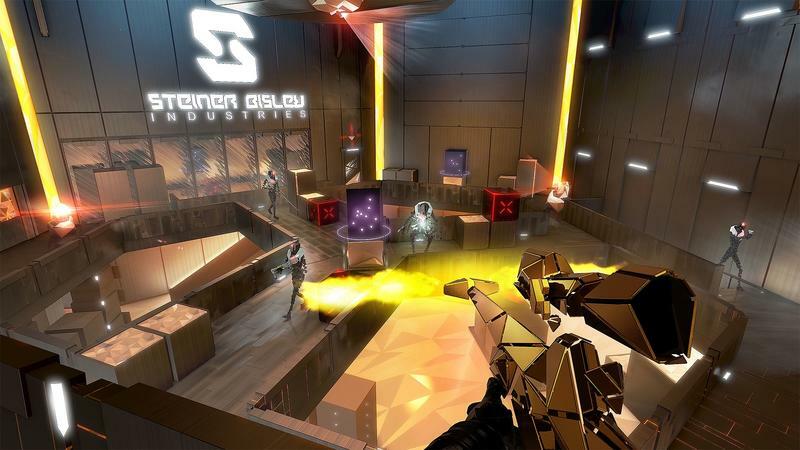 It’s been a long journey for Deus Ex: Mankind Divided, I think it’s been in development for five years now. As you approach launch day, what sticks out in your mind as being particularly memorable? Proulx: It’s difficult right now to take a step back because we’re still polishing it, but I think once we all take a few steps back and look at it, we can then reflect a bit more on it, but for sure it’s been quite a journey. Just building the engine was a huge challenge and as you’re building that, it’s a big software challenge to do it. I think we’ll reflect on it once the game is out and we can get even more feedback from the community. 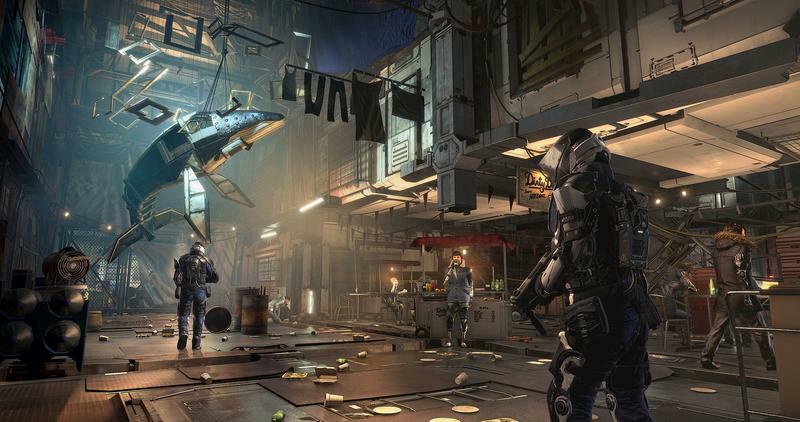 Marty: What’s really great when you’re working on a Deus Ex game is since it’s systemic, you working a very longtime on all of the systems and for a long time it feels like nothing is happening. Then suddenly, all of it comes together and the first time you’re actually able to play it from start to finish, it’s amazing. And then the real work begins (laughs). Proulx: I would say with this game we were able to get to that step a year ago or a bit more than a year ago. All of those previous months and years were pretty much working in the shadows and each team was trying to get their work done. When it came together last year, it was a great moment for the team to push it to the end, and it’s really come together.